With this service, I will create a unique and informative SEO-optimized article of 500-600 words with your backlink. I will then reach out to editors and contributors on Benzinga (benzinga.com) and have the article published within 1-3 weeks. 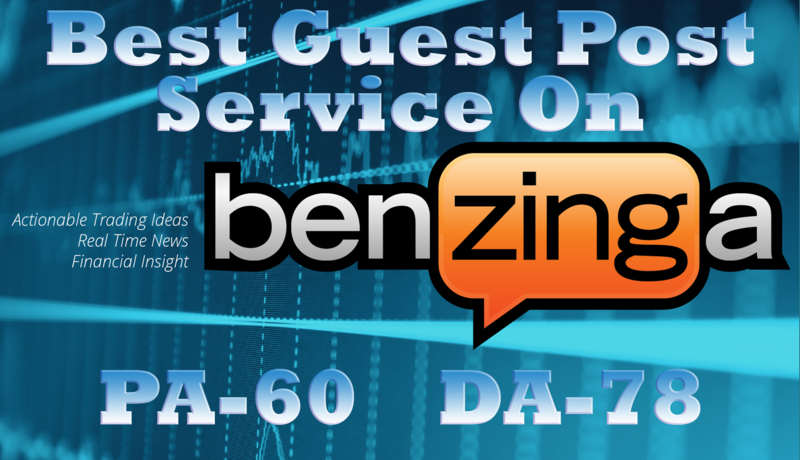 Benzinga is a financial/money/investment-oriented site so it would be a perfect fit for brands in the personal finance, investment, or savings niche. Links in the following niches are subject to rejection if I cannot find a good reason to link to them or they are too risky: gambling, dating, adult, and pharmacy. The cost outlined includes the complete process of getting published, from content ideation and creation to publishing – you are only allowed to provide content if it’s well written. For any questions or concerns, just send me a message and I’ll try to reply within hours.